We don’t tend to have clay lying around so I decided to use salt dough instead. Mix the salt and flour together and then slowly add the water until the mixture is firm but not sticky, if it does turn sticky don’t panic! Just sprinkle some more flour on it until it has a nice firm and dry consistency. Then roll it out. Ours was about 50-60mm thick. Use the cutters of your choice and make some awesome shapes. Don’t forget to add a little hole if you would like to hang your art! Place them on a baking tray, lined with greaseproof paper/baking paper, and bake in the oven. The oven needs to be on its lowest heat setting and will take approximately 3 hours. After making these I found a post by Cerys at Rainy Day Mum for the Quickest Ever Salt Dough Recipe. I wish I had found that sooner as it would have saved so much time! Buddy needed a lot of help to make this. 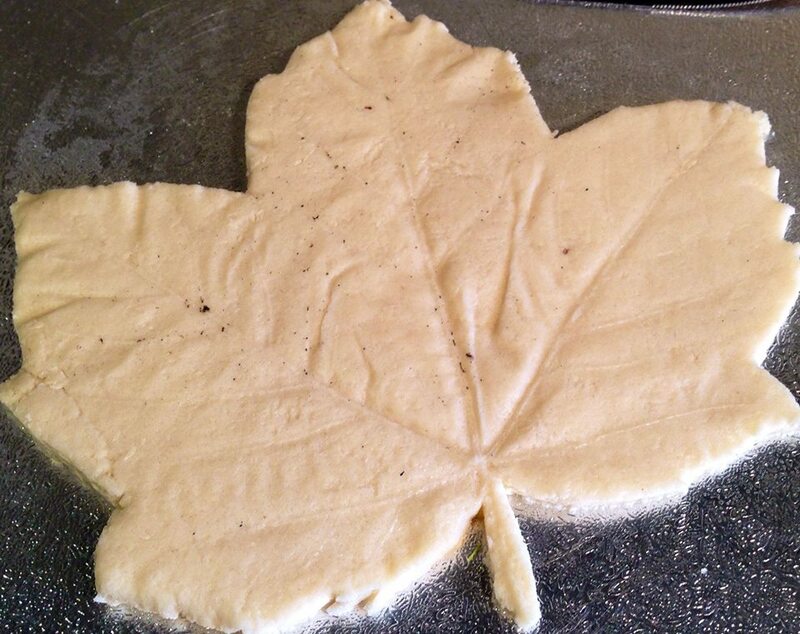 We pressed a large leaf into the rolled out dough. Buddy helped me to place a dictionary on top of it, to make sure we had a good indentation. 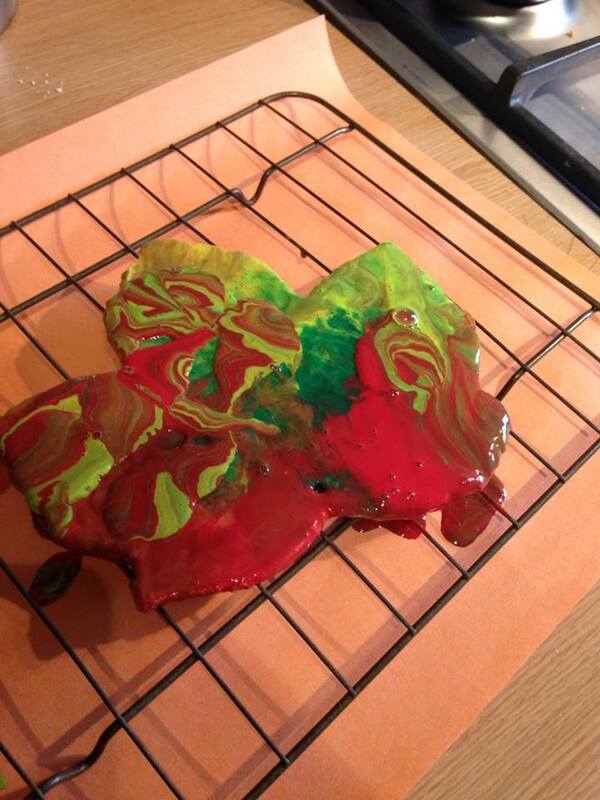 I then cut around the leaf using a dinner knife (I really need to buy some playdoh tools) and placed it on our baking tray. After almost four hours of baking it was hard. I allowed it to cool and then set up a No Mess Painting station in the living room. Somehow I had run out of ziplock bags so I had to improvise with a plastic wallet which I taped up. 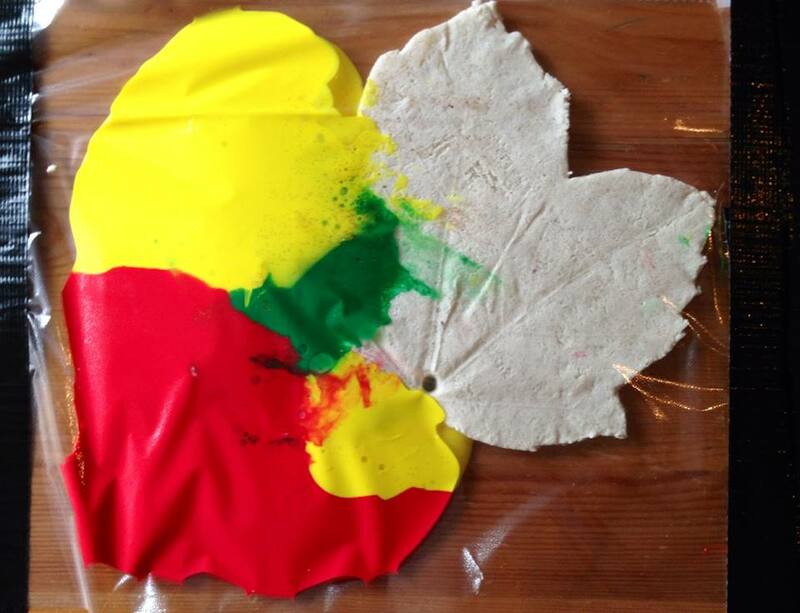 I squirted some red, yellow and green poster paint into the bottom of the bag and taped it to the table, with the salt dough leaf inside. Buddy was very excited to see this on the table after nap time. 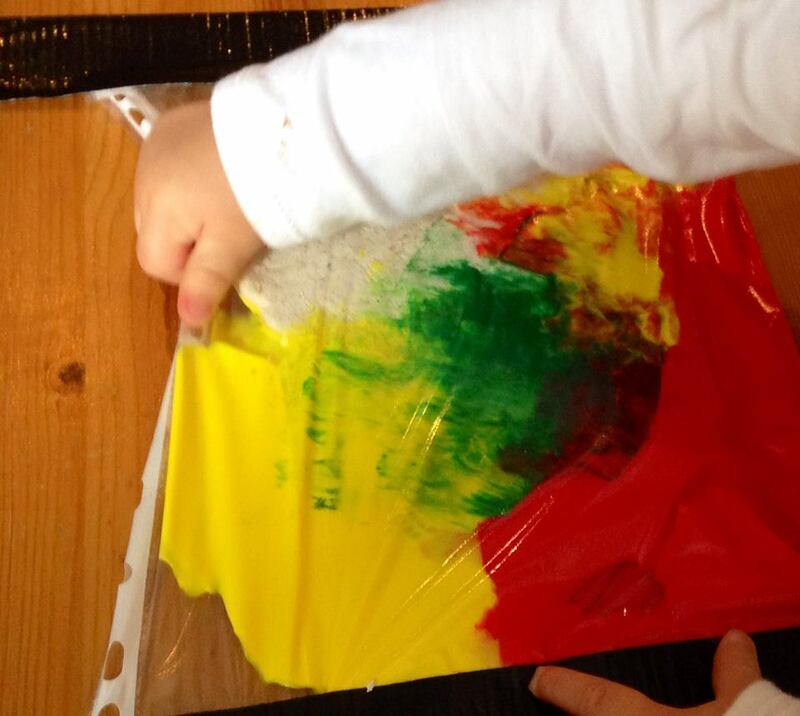 He instantly began pinching, slapping and pulling at the paint and the bag. When the leaf appeared to be covered I cut the bag open over the sink and pulled the leaf out. I couldn’t get over how great it looked! 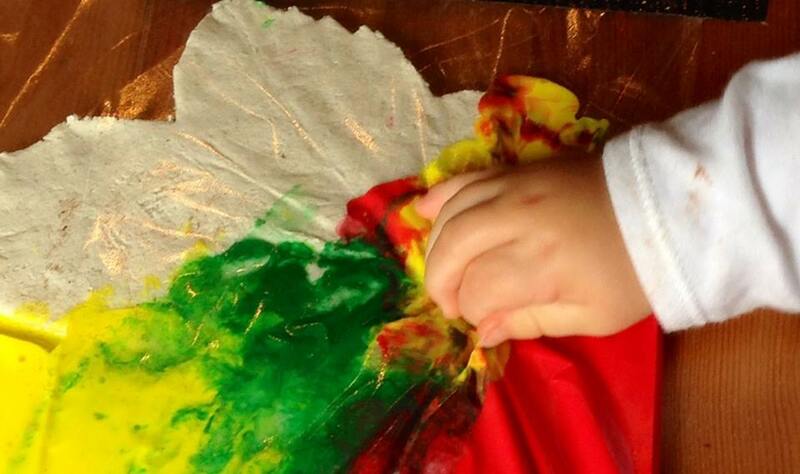 Painting the leaf in this way was great, because it minimised mess and prevented Buddy from eating any paint (bonus!) 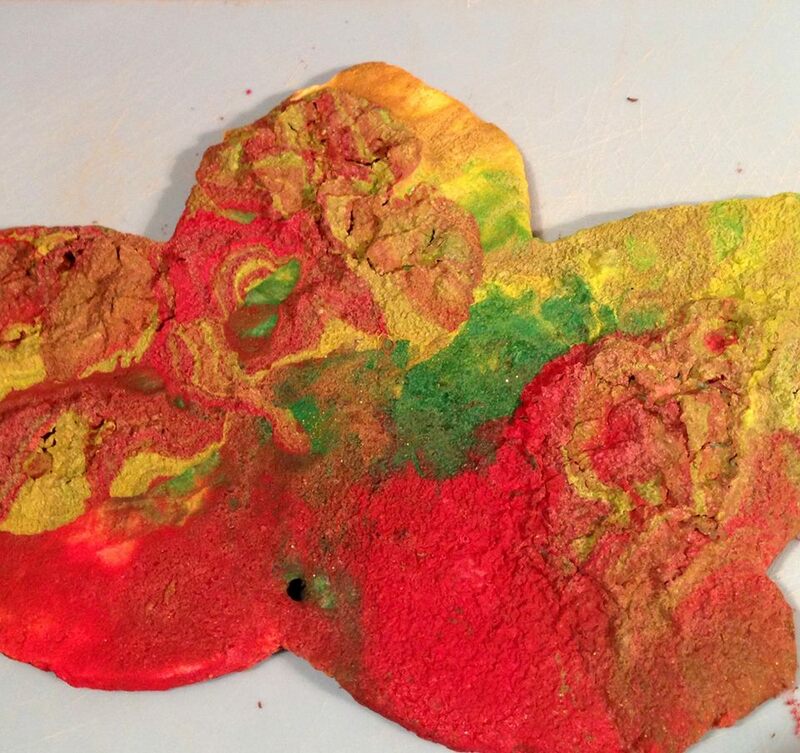 However, the leaf absorbed a lot of moisture because we had so much paint in the bag. 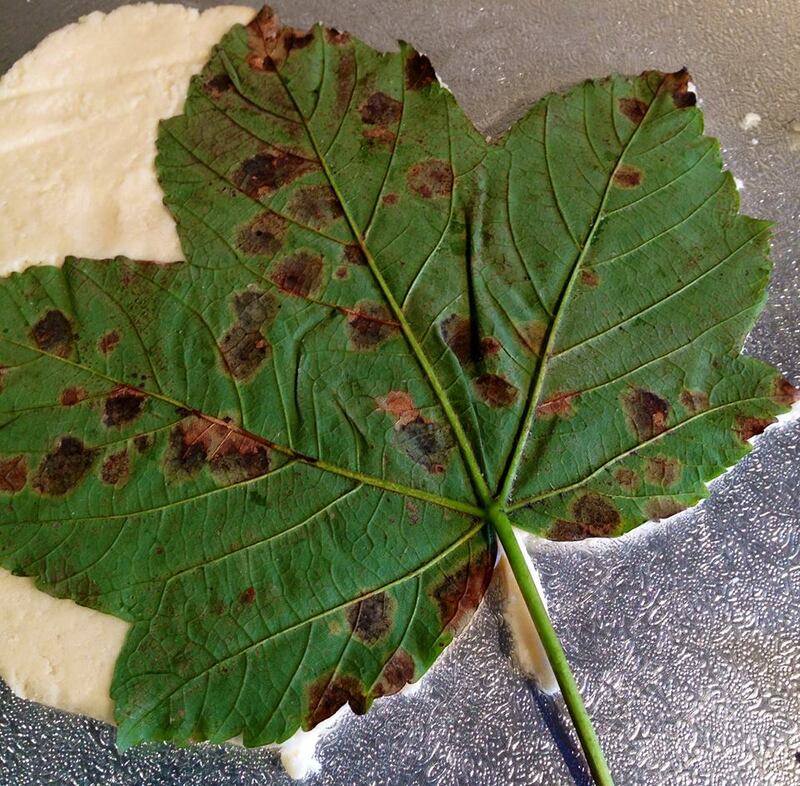 I put the leaf back in the oven on low for a couple of hours to dry it out again. When it came out some of the paint had bubbled, but I think that made it look pretty great. 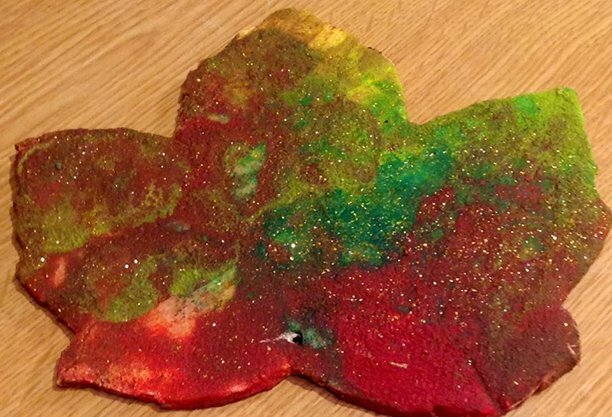 Once the leaf had cooled (again) I painted it with PVA glue and added some glitter too. 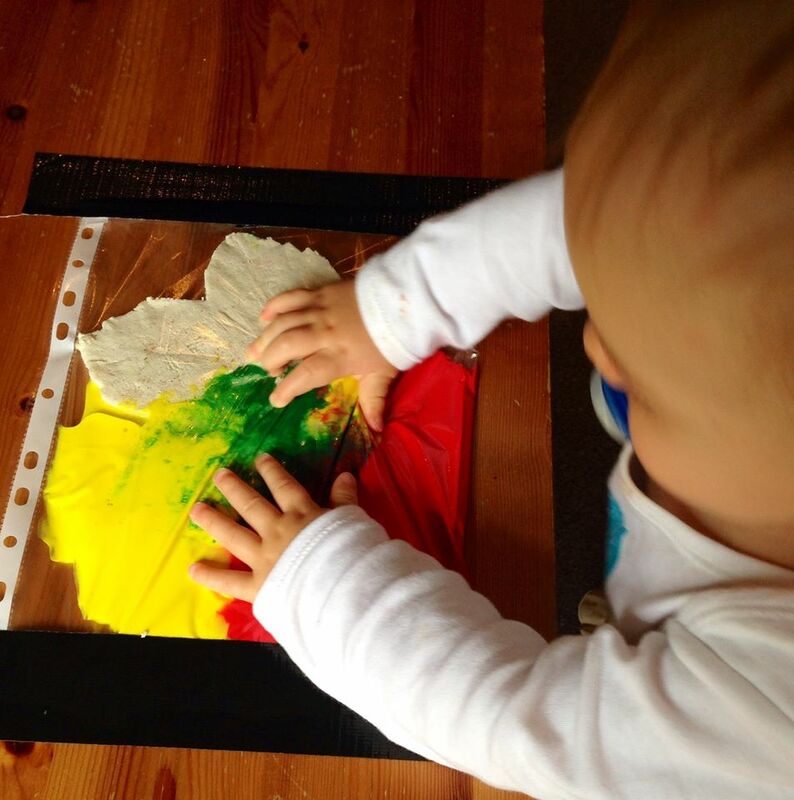 Although Buddy needed lots of help with this, an older child could easily make this by themselves from start to finish. I love new ideas so please feel free to get in touch and let me know what you have been making too.